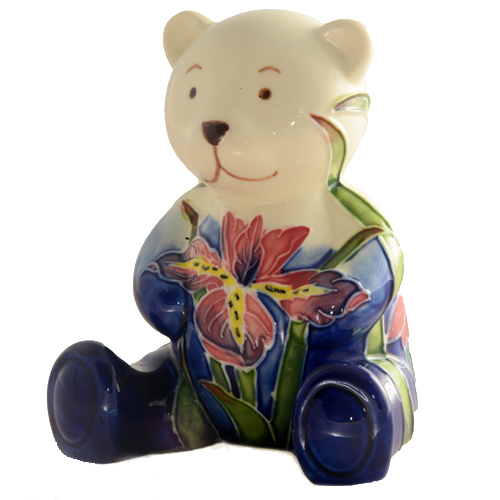 Porcelain Bear Figurine in Gift Box. The name Old Tupton originates from the village of Old Tupton in Derbyshire. The idyllic village setting is the inspiration for these collectable designs. Old Tupton now boasts many exclusive designs having established itself as a collector's brand of quality ceramic ware. Each piece is hand made using a unique production process called tube lining - this gives the raised outline of the pattern. Each piece is unique. From the popular Teddies range. Other colours available.